The Doctor Bronner All-One Typography Challenge! 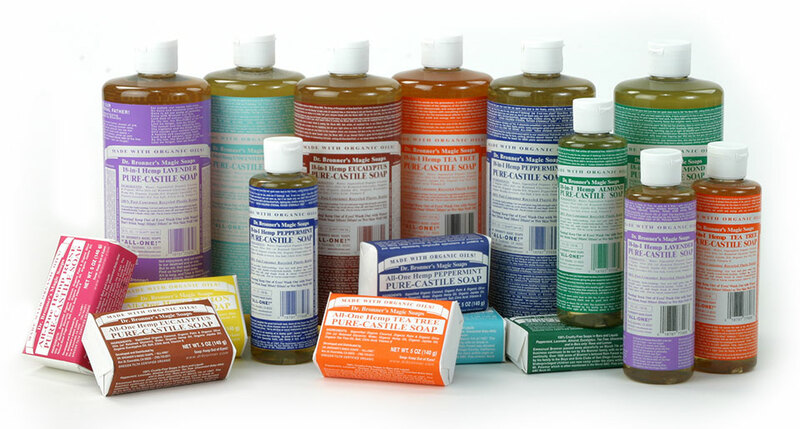 We love Dr. Bronner’s Magic Soap! It’s fair trade and has no detergents or foaming agents. The bottle is 100% post-consumer recycled plastic. But most of all, there’s the label. That dense manifesto where capital letters and mantras run wild. Where Helvetica and Times are knocked-out, justified, squished, squeezed, and wrapped all the way around the bottle, with as many as 250 characters per line. 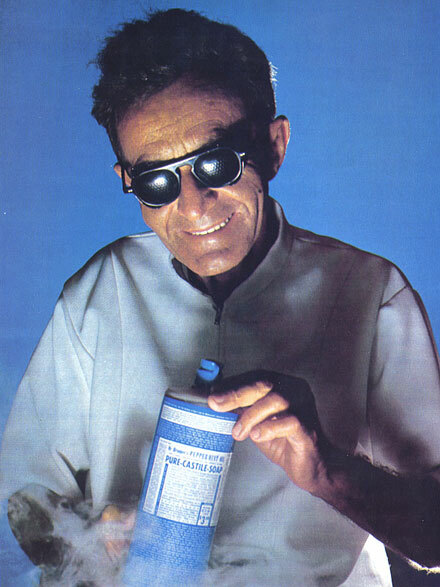 “Absolute cleanliness is Godliness!” it starts. And if this maze of rhetoric about Spaceship Earth, the Moral ABCs, lessons, quotes, and creation myths reads like it was written by an escaped mental patient, it’s because it was. Every so often a designer leaves the tingling memories of a refreshing shower behind and sits down to think: That bottle deserves more. What if the typography was improved? I should do something about this! 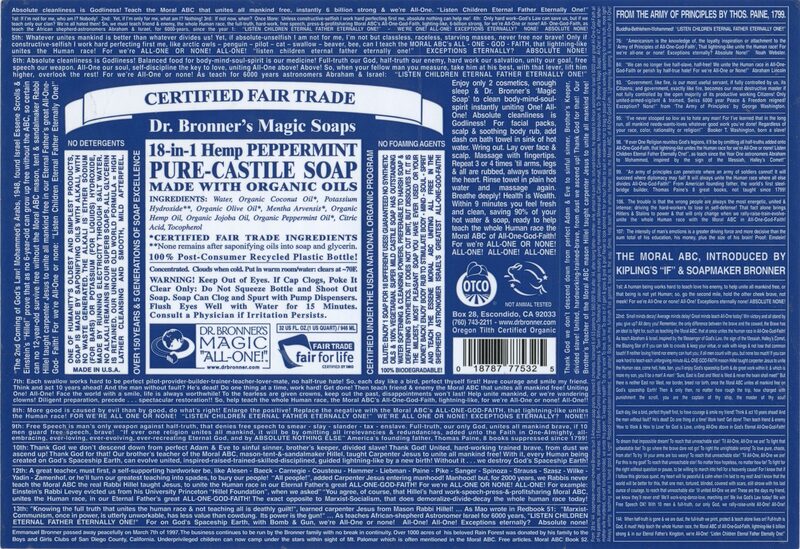 Design a new label for the 32-ounce bottle of Doctor Bronner’s Magic Peppermint Soap. Use only the original text, dimensions, color, bar code, and third-party logos. Do not add any new text or imagery. If you’d like to share your design, submit a PDF to spaceship-earth@all-one-typography.com. Project by André Mora, Indra Kupferschmid, and Nick Sherman. Fonts used: Benton Sans and Benton Sans RE from Font Bureau.